I must have missed this post!!! Sidney Bernard's grave with background: the cement surround and railings were added later, at the time the bronze plaque was added to the grave because the tombstone was becoming worn and less readable: the wording was practically the same as on the stone. I believe the railings were an attempt to mark the grave more distinctly. A closer view of the tombstone, derived from several stages of reproduction, so I must apologise for the dimness. The latter 2 pictures were taken at the time when the bronze plaque was retrieved in the 1950s. If anyone recognises the Eclair picture I shall be glad to know, as the SBA who sent it to me forgot to give a reference. I wasn't expecting you to say you had a copy! 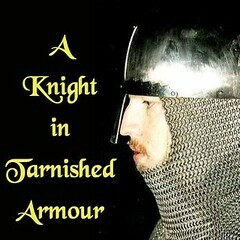 Unfortunately I have had to disable the upload function on the forum however if you go through photobucket (instructions here: http://www.kenthistoryforum.co.uk/index.php?topic=1494.0) you can add images to the forum. If you get stuck please let me know and I will see if I can help! On my computer is a digital version of the photograph of the grave site but I can't work out if it's possible to attach a picture to a message on this forum. Hi SeaJane, thank you so much for letting us know what happened to the plaque It is good to know it is being looked after and is in a prominant position. 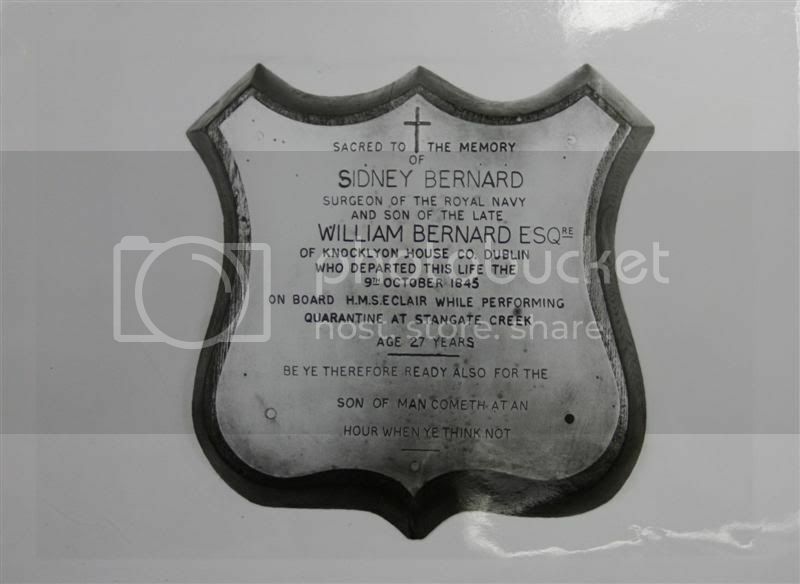 The bronze plaque from Sidney Bernard's grave is now in the care of the Historic Collections of the Institute of Naval Medicine at Alverstoke, Gosport, where it occupies a prominent position in the Conference Room together with a photograph of the grave site. In the 1953 the Kent Oil Refinery, Ltd., later BP, named one of their Medway launches after Sidney Bernard, Surgeon, R.N. There is one photograph of the launch in the Journal of the Royal Naval Medical Service, but I haven't been able to find any trace of what happened to the boat itself. Does anyone know? (I've asked Medway Archives). A man living in Upnor recently found a bronze tablet that had become detached from a grave on Burntwick Island. He was asked to bring the tablet to this depot as it would soon be lost in the mud which is gradually covering the grave. The tablet is in the form of a shield mounted on wood and is inscribed: "Sacred to the memory of Sidney Bernard, Surgeon of the Royal Navy, and son of the late William Bernard, Esq., of Knocklyon House, County Dublin, who departed this life the 9th October, 1845, on board H.M.S. ECLAIR, while performing quarantine on Stangate Creek. Age 27 years. Be ye, therefore, ready also for the son of man cometh at an hour when ye think not." 2. The story of this grave and tablet is rumoured to be that a case of yellow fever came into Sheerness on board a ship and Doctor Bernard volunteered to attend the patient. He, unfortunately, caught the fever himself and died. The grave was looked after by the Navy for many years when, for example, H.M.S. ACTAEON, the old Torpedo School in that area, was in existence. The sea walls now around Burntwick Island are being gradually washed away and the grave is covered with mud. It was thought desirable to rescue this plaque before it was lost and it is suggested that perhaps some relatives of Doctor Bernard might like to have it if they can be traced, if not it might be desired to put it in the Naval Barracks' Chapel. 2. This plaque has considerable historical interest. The outbreak of yellow fever in H.M.S. ECLAIR in 1845 is well known. It caused many deaths amongst medical officers and other officers and men. Doctor Sidney Bernard is reported in 'Climate and Diseases of the African Station' as having died in H.M.S. ECLAIR in Stangate Creek on the 9th October, 1845, which tallies with the inscription on the plaque. 3. I consider that it would be most appropriate for this relic to be placed in the Church at the R.N. Hospital, Chatham and approval is therefore requested in accordance with Home Dockyard Regulation 919 for this to be done. There is ample room on the walls of the Church for this tablet and its size is well within the limits specified in Home Dockyard Regulation 919, paragraph 3. 4. A copy of a photograph of the tablet is enclosed. Copies to:- Admiral Superintendant, H.M. Dockyard, Chatham. Medical Officer-in-Charge, R.N. Hospital, Chatham. I am to refer to your submission 2366/638/14/50 dated 13th October, 1950, concerning the bronze plaque in memory of Surgeon Sidney Bernard, R.N. who died in 1845, and to inform you that the proposal to place this plaque in the church of the R.N. Hospital, Chatham is approved. N.L. concurs in the proposal to place the plaque in the Church at R.N. Hospital, Chatham. 2. It might, of course, be argued that the plaque is the property of the descendants of Doctor Sidney Bernard, but it is considered that, at this date, any attempt to trace the family would not be justified. As apparently the grave has been looked after by the Navy for many years in the apst, it is appropriate that its last vestige should be preserved on the wall of the R.N. Hospital as a minor Naval historical monument. A bronze plaque in memory of Surgeon Sidney Bernard R.
N. (who died in 1845) has become detached from a grave on Burntwick Island which for many years was looked after by the Royal Navy. Since the sea walls around Burntwick Island are gradually being washed away and the grave covered with mud, C. in C. Nore suggests that it would be appropriate to place the plaque in the church at the R.N. Hospital, Chatham. 2. With regard to paragraph 2 of the report from S.A.S.O. Upnor alleging that Dr. Bernard volunteered to attend a case of yellow fever on board H.M.S. ECLAIR, and subsequently contracted the disease and died, Admiralty records reveal that it was a Dr. McClure who volunteered for this duty and it was on his death that Dr. Bernard was appointed from H.M.S. GROWLER to H.M.S. ECLAIR. 3. There is no indication that the plaque in question was placed on the grave by the R.N. or by public subscription. Strictly speaking, therefore, it is the property of the descendants of Dr. Bernard. Since however, the prospect of tracing his family is remote, departments agree with C. in C. Nore's proposal. The size of the plaque is within the limits laid down in Home Dockyard Regulations Article 919 and the cost of fixing it would be small. 4. Submitted for approval to authorise C. in C. Nore to make arrangements to place the plaque in the church of the R.N. Hospital, Chatham. In connection with suggestions that Bernard volunteered etc., it was a Dr: McClure who volunteered early in September, 1845 for duty in ECLAIR and it was on his death on 21st September that Sidney Bernard was appointed from GROWLER to ECLAIR. No trace has been found of any paper relating to the wording of the inscription over Surgeon Bernards grave. From the wording of the inscription it appears most unlikely that the plaque was placed there by the Navy of by public subscription. Cap B.172/45 attached shews that Surgeon Bernard was appointed to the ECLAIR from the GROWLER on 21st September, 1845. It is requsted that all departments will remark on the proposal that the plaque in memory of Surgeon S. Bernard R.N., should be placed in the church at the R.N. Hospital Chatham. The possibility of tracing any descendants of Surgeon Bernard as suggested by the Suptg. Armament Supply Officer appears remote. For HEAD OF MILITARY BRANCH. M.D.G. concurs in the proposal that the plaque should be placed in the Church at the R.N. Hospital, Chatham.